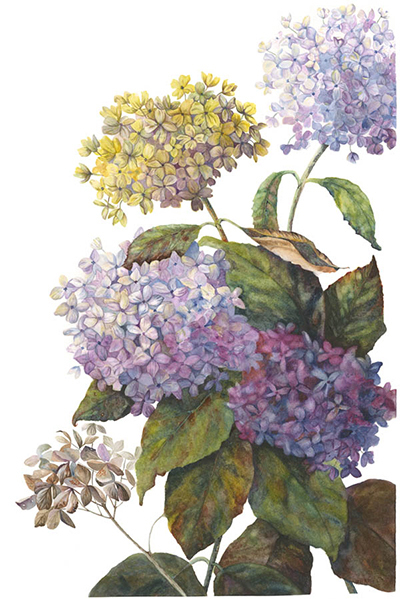 Jill Petersen is an accountant by trade who began studying botanical illustration in 2010 with Mary Harden, at Strybing Arboretum, San Francisco to develop her creative side. She continues her education at the Mary L. Harden School of Botanical Illustration. 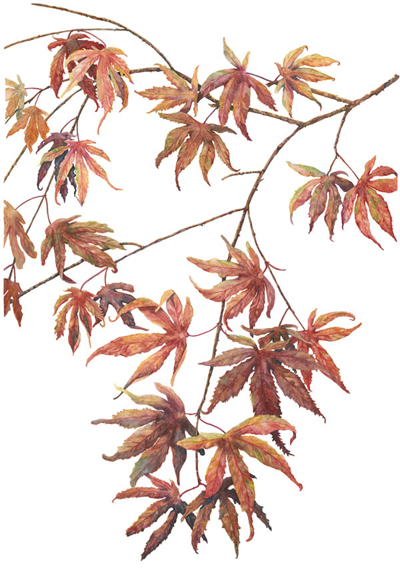 As a botanical artist, she thrives in finding order from the number of petals, the pattern of the leaves, the texture of stems or the structure of roots of a plant. She is intrinsically drawn to plants with strong sequencing and likes to reveal the story of their changing environment and life cycles. Her preferred medium is watercolor. Jill has participated in the annual Light In The Grove Botanical Art Exhibit for the National AIDS Grove, the UCSF Medicinal Plants exhibit for the Alumni House, the Macy’s annual Flower Fest Botanicals for the AIDS Grove, the Just One Tree San Francisco exhibit and fundraiser, and will join her fellow artists in the upcoming Botanical Exhibit of California native plants for the Jack London State Park. She has also been published in Treasures from San Francisco Botanical Garden at Strybing Arboretum.